Pick to Order is designed to make picking multi-item orders easier. Each order is given it’s own tote to pass onto the packer. This process takes place both in the main Veeqo desktop app, and on the Veeqo Scanner. Warehouse Dashboard - This is where the team can see what priority the courier order tags are set to and manually override the order if the priority needs changing throughout the day. It also shows the number of items left to pick and the total number of picked items for each tag. An overall total is also displayed. 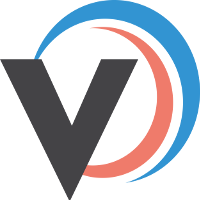 Veeqo Scanner App - The Veeqo Scanner App will have a new menu item called ‘Picking.’ This is where the pickers accept a picking batch, assign a tote and are taken by sub-location to pick their products. 2. Here, you will be prompted to accept the latest picking batch. You’ll see your username and default warehouse. Select the next arrow to go to the next step. 3. You will see the number of product locations in the warehouse this batch will take you to. In this example there are 5 locations, this means there are 5 unique products to pick in this batch. The number of items, is the total quantity of these products you will be picking. So in this batch, you will be picking 17 items. You are also prompted to scan a tote barcode with the scanner. With pick to order batches, each order has its own individual tote assigned to it, so the tote will be assigned to the first order in the batch. 4. The first product from the assigned order will appear on the screen - this shows the product image, title, SKU and it’s sub-location. The order number that the product of is a part of is displayed, as well as the tote number you just scanned to begin the batch. Head to this location and scan the product’s barcode. 5. To manually enter a product quantity (if barcodes are missing), tap the card and you will be able to adjust the quantity using the +/- buttons. Hit confirm (tick button) when you’ve got the quantity correct. 6. Once the amount is correct, swipe the card and hit the next arrow to go to the next product. 7. If a product is part of multiple orders, it will show each order as a separate card. When it’s part of a new order, a new tote has to be assigned for that order. 8. If a product is either missing from it’s sub-location, doesn’t have enough stock to fulfil the batch or is out of stock completely , leave the quantity as 0 or the partial amount and swipe to go to the next product. This will prompt a popup to mark the product as incomplete. For any orders that have had a product marked as incomplete, an internal order note will be added showing the missing product's full title, which user was picking the batch and the date/time. 9. Once all products are picked, a screen will prompt that the batch is complete. If any products have been marked as incomplete throughout the batch, they will be shown here. 10. The totes can then be taken to a packing station. The packer will open the main Veeqo app on the orders list and scan a tote at a time to pack each order. 11. If some orders have had products marked as incomplete when picking, the order will not be marked as picked. Select the ‘PICKED’ filter in the order filters to remove the unpicked orders from the list.